Farmingdale, NY -- Calling all Bands! 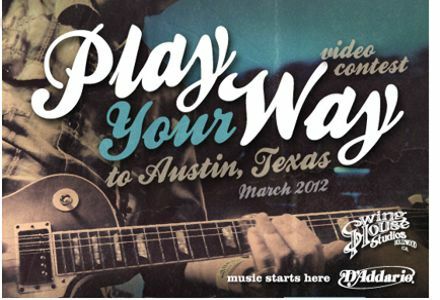 D'Addario & Swing House Studios want you to enter for the chance to win the "Play Your Way to Austin" contest to perform at the showcase during Austin's top music festival! D'Addario and Swing House are offering bands and acoustic acts this opportunity to enter exclusively through the D'Addario & Planet Waves Facebook Page from January 9th through February 9th, 2012.